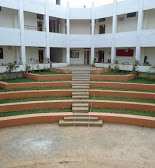 A Management Institute located in a serene area in Dharwad is available for takeover or outright sale. The Institute has ready infrastructure - Building comprising Office block,Classrooms,Library,Laboratory etc., Canteen,Open Air Auditorium and ample open land.Total land area is 4 acre +. Ideal for existing educational institutions fo	r their expansion and diversification programmes. An opportunity for other organisations who are planning to venture into educational field.